Following a national search, Kansas State University has named Amit Chakrabarti as its new dean of the College of Arts and Sciences. 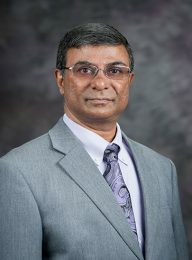 Since February 2016, Chakrabarti has served as interim dean of the university’s largest college with 24 departments, and a broad array of majors, secondary majors and minors spanning many disciplines. He succeeds Peter Dorhout, who is now vice president for research at K-State. Prior to the interim position, Chakrabarti was the head of the department of physics and the William and Joan Porter chair in physics. He will report directly to the university’s provost and senior vice president and serve on the Academic Council of Deans. Shireen Roshanravan, associate professor of American ethnic studies, was awarded the Jane Addams Prize for her paper, “Asian-American Visibility and the Coalitional Imperative,” presented at the 2017 annual meeting of the Society for the Advancement of American Philosophy, March 17, in Birmingham, Alabama. The Jane Addams Prize is awarded annually by the society’s program committee for the best paper presented at the meeting on issues in feminist thought as they occur in American philosophies, including their intersections with race, ethnicity, class, sexuality, disability and age. Roshanravan’s paper argues that the current “Asians for Black Lives” mobilizations demonstrate what she calls the “coalitional imperative” of Asian-American feminist visibility in their spectacular exhibits of cross-racial solidarity. Roshanravan presented her paper as part of a panel on Asian-American feminist theory and praxis with Tamsin Kimoto, Emory University, and Erika Brown, Villanova University. Norma A. Valenzuela, American ethnic studies faculty member, presented “Mestiza Consciousness a la MeXicana in Ultima and Agueda Martinez: Bridging and Legitimizing Querencia in the Borderlands” at the Southwest Council of Latin American Studies Conference, March 9-12, in Campeche, Mexico. Valenzuela’s work explores “querencia” — translated to “sense and love of place” — by examining the intersectionality of race, gender, class and nation as sites of contestation in the life of two major nuevomexicana protagonists: Ultima, a fictional character, and Agueda Martinez, a Chimayo weaver. Valenzuela uses their experiences to bridge and legitimize her own positionality within the Borderlands, specifically connecting rural/urban New Mexico and northern Mexico. 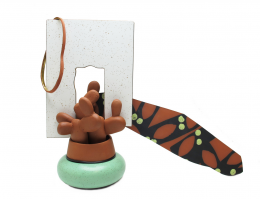 The work discusses how Valenzuela’s experiences enabled her to examine how she, as a transnational MeXicana, exists, inhabits and navigates a middle space within the Borderlands. Click here to read more about Valenzuela’s research. 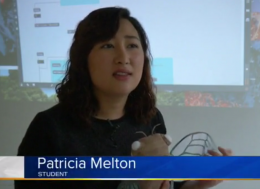 Senior art student Patricia Melton was featured on KSNT news showcasing her interactive digital/experimental media project about cicadas. 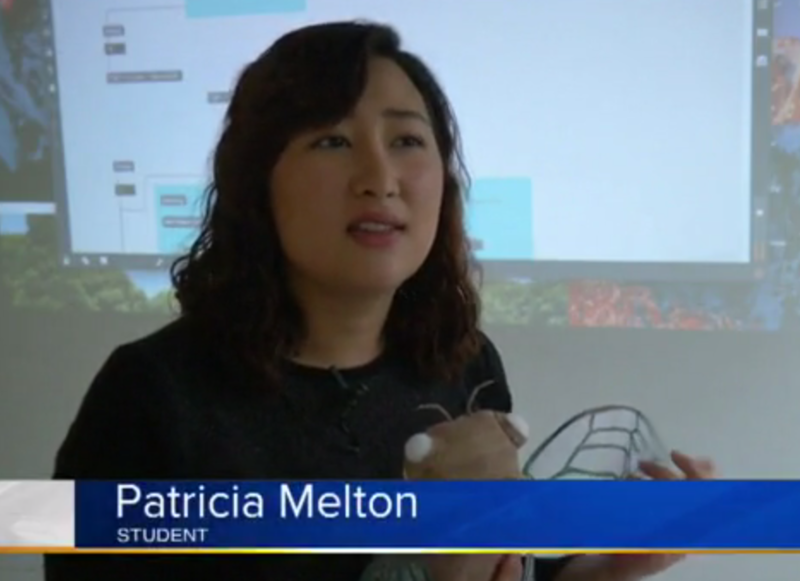 “Patricia did a great job of demoing, describing and contextualizing the work, which is crucial in our field,” said Carlos Castellanos, assistant professor of art and co-director of the Digital/Experimental Media Lab. Click here to watch the full news story. Carlos Castellanos has been awarded a Research Design + Creation Fellowship at the Universidad de Caldas in Manizales, Colombia as part of the 23rd International Symposium on Electronic Art (ISEA2017). 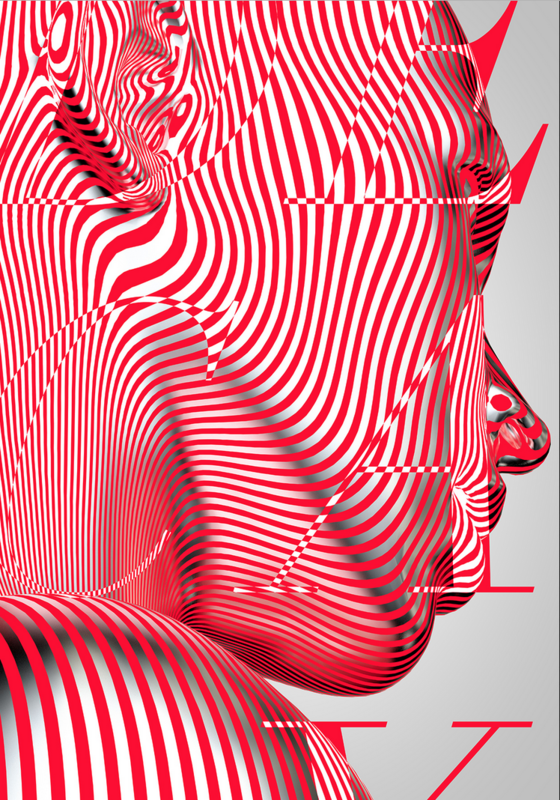 The research will focus on the use of sound to investigate the bioelectric and behavioral patterns of microorganisms. 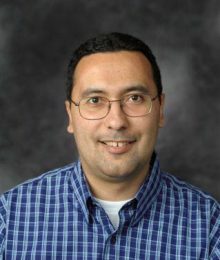 Castellanos will take up residency at the university and will work with students to design and build a hybrid biological-electronic system wherein variations in electrical potential from an array of microbial fuel cells are translated into rhythmic, amplitude and frequency modulations in modular electronic and software-based sound synthesizers. 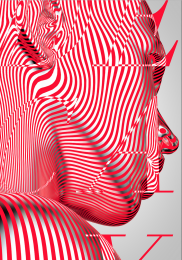 The research combines renewable energy technology, machine learning, sound and and public engagement and will culminate in a public demonstration and exhibition/performance during the week of the festival (June 11-18). 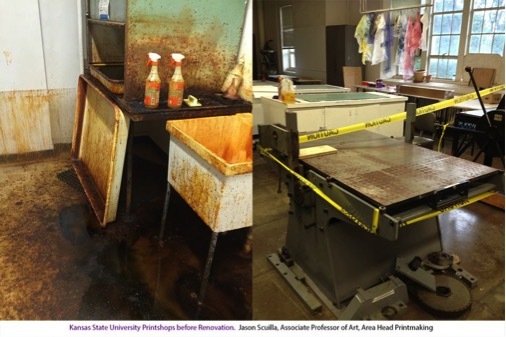 Jason Scuilla, associate professor of art and area coordinator of printmaking, presented “Venting about Ventilation, Ranting about Renovation” at the Southern Graphics International Printmaking Conference March 15-19. 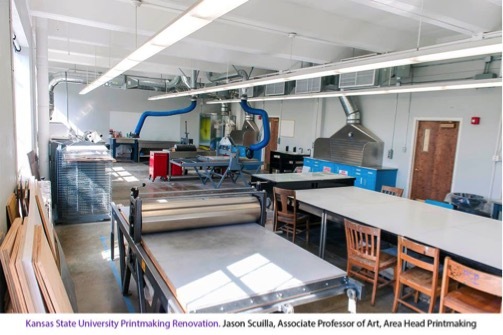 Scuilla’s presentation described how he designed and managed a total renovation of the Kansas State Printmaking facilities from 2012-2015, including discussion of challenges that arise when working with university facilities, administration, engineers, and vendors. “We now utilize some of the safest, most innovative industrial ventilation available,” Scuilla said. 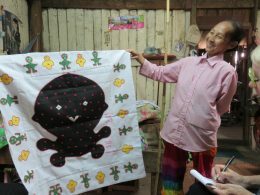 Professor of Art Geraldine Craig presented the lecture “Hmong Paj ntaub: Linguistic Consciousness and Transnational Influences” at the Cranbrook Academy of Art in Bloomfield Hills, Michigan. Craig’s research focuses on the intersections and relationships between textile history, theory/criticism, curatorial work and studio practice. Assistant Professor Alice Boyle was invited to speak on the topic “Evaluating alternative hypotheses explaining animal movement strategies” at an international conference on Animal Movement Ecology organized by Anders Hedenström (Lund University, Sweden), and Ran Nathan (The Hebrew University of Jerusalem, Israel).The conference was convened by the Gordon Research Conferences and held in Ventura, California March 19-24. 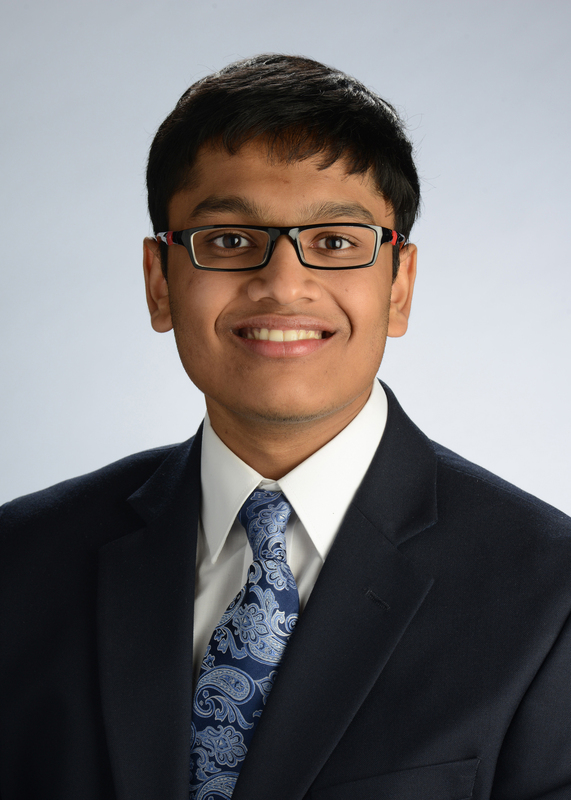 Vaithish Velazhahan, junior in microbiology, biochemistry and pre-medicine, was named a 2017 Goldwater scholar. Established by Congress in 1986 to honor Sen. Barry M. Goldwater from Arizona, the scholarship is awarded to nearly 300 college students across the country every year. Awardees receive up to $7,500 annually for college-related expenses. Velazhahan is working with Kathrin Schrick, associate professor of biology, to research how dietary flavonoids in plants inhibit some human cancers. He also is researching the genetic factors that caused land plant evolution. Velazhahan is one of five students who represented Kansas State University at the Undergraduate Research Day at the Kansas Capitol in addition to multiple meetings and symposia. In addition to the Goldwater Scholarship, his awards and honors include the K-State Academic Honors Scholarship, National Science Foundation Undergraduate Research Mentoring in Ecological Genomics Scholarship, National Institutes of Health Kansas IDeA Network of Biomedical Research Excellence Scholarship, Johnson Cancer Center cancer research award, and an Asian and Pacific Islander American/United Health Foundation Scholarship. 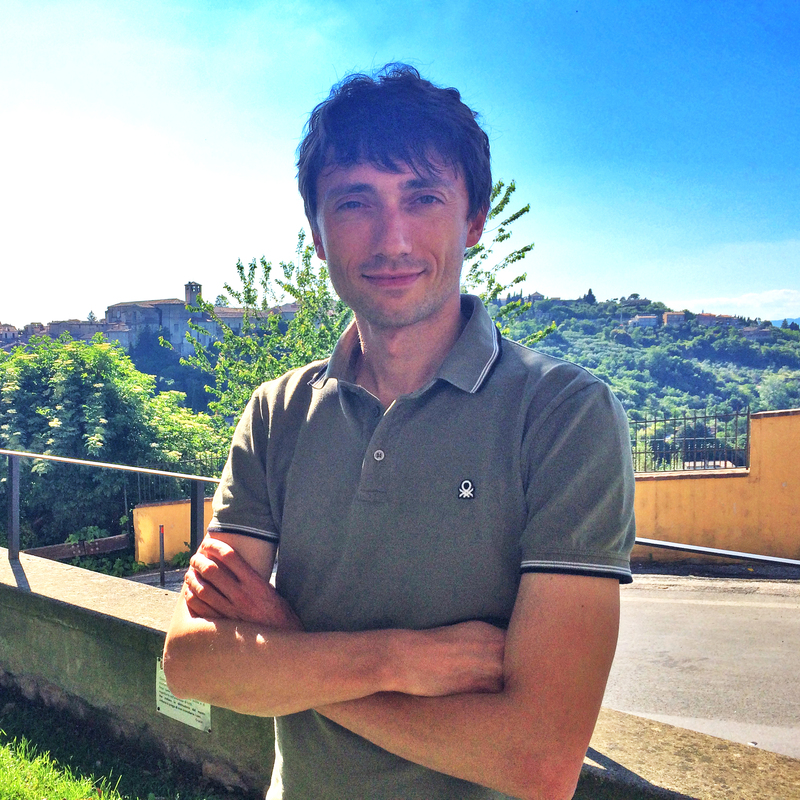 Chen Peng, Postdoctoral researcher working under Zhilong Yang, won a K-INBRE postdoctoral award. K-INBRE Post-doctoral awards are one-year mentored awards to support outstanding postdocs in initiating research projects or transitioning from the post-doctoral position to early investigator status. 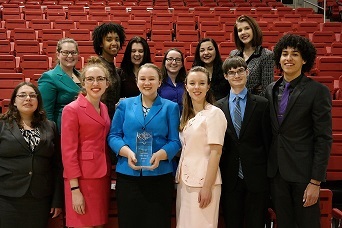 The Kansas State University Forensics Team started their month competing at the American Forensics Association National Individual Events Tournament (AFA-NIET) at Bradley University in Peoria, Illinois. After back to back finishes at 27th in the country, this year’s team placed 14th in team sweepstakes. The team’s effort was aided by a national championship by junior, Logan Stacer. Logan’s championship in Informative Speaking is the team’s first national championship since 2011. This year’s AFA capped off an exceptionally successful regular season for the Wildcats. After placing in the top three in team sweeps at nearly every tournament during the season, K-State qualified 12 individuals in 38 events. Juniors Kristen Egger, Michelle Briggs, and Logan Stacer, as well as sophomore Macy Davis led the team by all qualifying five individual events. The team hopes to build off their rapid rise in the rankings as senior Kerri Leinmiller-Renick is the only graduating member of the team. Jakki Forester, graduate student in communication studies, presented her research about drag culture, including both drag kings and drag queens, in central Kansas throughout the months of February and March. The specific focus of Forester’s research is how drag queens in central Kansas/the Flint Hills region use their positions as civic leaders both in and out of the queer community to promote social justice and positive social change. Forester first presented at the Midwest Interdisciplinary Graduate Conference at the University of Wisconsin-Milwaukee in mid-February. The 5th annual Gender and Sexualities in Kansas Conference at Wichita State University on March 3 was Forester’s next research presentation.The Gender and Sexualities in Kansas Conference highlights original gender and/or sexuality related research and scholarship across multiple disciplines from colleges and universities in Kansas. Finally, Forester presented at the No Limits Conference at the University of Nebraska–Kearney on March 10. Assistant Professor Timothy Shaffer, who is also the Assistant Director of the Institute for Civic Discourse and Democracy, is among the authors in a collection of essays recently issued by the Kettering Foundation Press entitled “Beyond Politics as Usual: Paths for Engaging College Students in Politics.” The book sets out to describe innovative courses, practices, and approaches faculty and staff at institutions of higher learning and other nonprofits currently employ to teach students new ways to think about, and practice, politics. 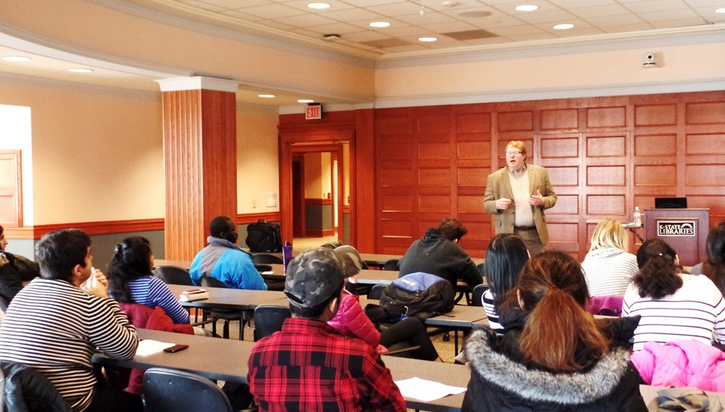 Shaffer’s chapter focuses on his inclusion of the study of democratic practice and theory in his small-group discussion methods class on campus. Tennecia Dacass, graduate student in the Department of Economics, was recently accepted to attend the Summer Dissertation Proposal Writing Workshop offered by Howard University’s Center on Race and Wealth and the Institute for Research on Poverty. Dacass is one of only 12 students nationwide accepted to the workshop, which will be held at Howard University in Washington D.C. The pre-proposal doctoral students who attend this will interact with faculty from Howard as well as the University of Wisconsin-Madison to prepare a draft dissertation proposal based on topics surrounding poverty and inequality. Upon completion of the workshop, Dacass will present a completed dissertation proposal to her fellow workshop participants and faculty mentors. Dacass is the President of the Women in Economics Club at K-State. Her past areas of research include unemployment, crime, and economic development in the Caribbean region. 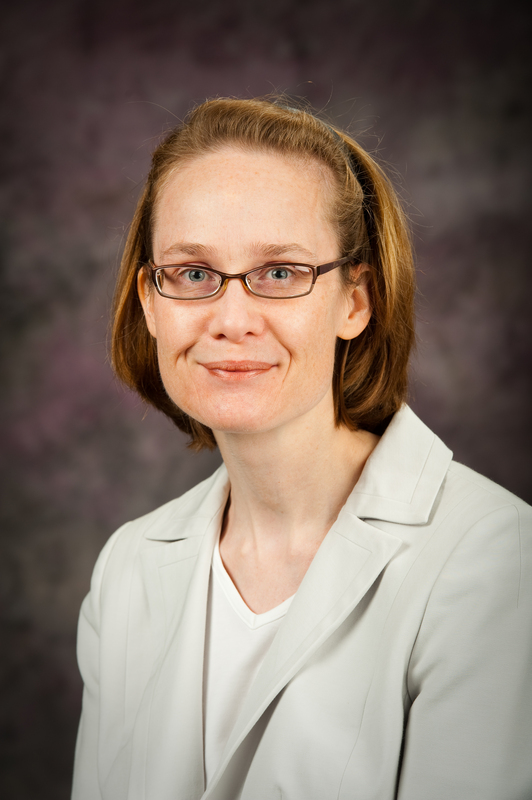 Karin Westman received K-State’s 2017 Presidential Award for Outstanding Department Head. This annual award recognizes a department head who displays proactive and positive leadership qualities, fosters a positive environment, integrates strategic planning, empowers department members, and is innovative in regard to new programs. Joe Sutliff Sanders received the 2017 Article Award from the Children’s Literature Association for “‘Almost Astronauts’ and the Pursuit of Reliability in Children’s Nonfiction,” published in the international quarterly journal “Children’s Literature in Education.” The award recognizes the best article on children’s literature published in 2015. Senior majors in Gender, Women, and Sexuality Studies presented at several Midwestern conferences in March. On March 10, students presented at No Limits, held at the University of Nebraska-Kearney: Sabrina Flowers, “Black Women: The Expectations and Reality of the Workplace”; Jenna Roberts, “Pretty Little Phobias: Naturalizing Fear of Transgender Individuals and Mental Illness”; Riley Katz, “Modes of Masculinity: Finding One’s Trans Masculine Self in Feminism”; Haley Kottler and Sara Kuborn, “The Sexuality Education I Wish I Had: Perspectives of College Women”. Victoria Fitzgerald, a graduate student in geology, received a National Science Foundation Graduate Research Fellowship (NSFGRFP). 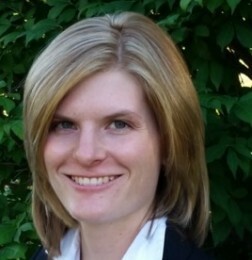 Fitzgerald won the award for her proposed research using optically stimulated luminescence dating to understand the evolution of Lake Bonneville and its implications for Holocene climate change. The award includes a 12-month stipend for 2017-2018 totaling $34,000 along with a $12,000 cost-of-education allowance that covers the cost of tuition and fees for each of the three years she chooses to utilize the fellowship funding. 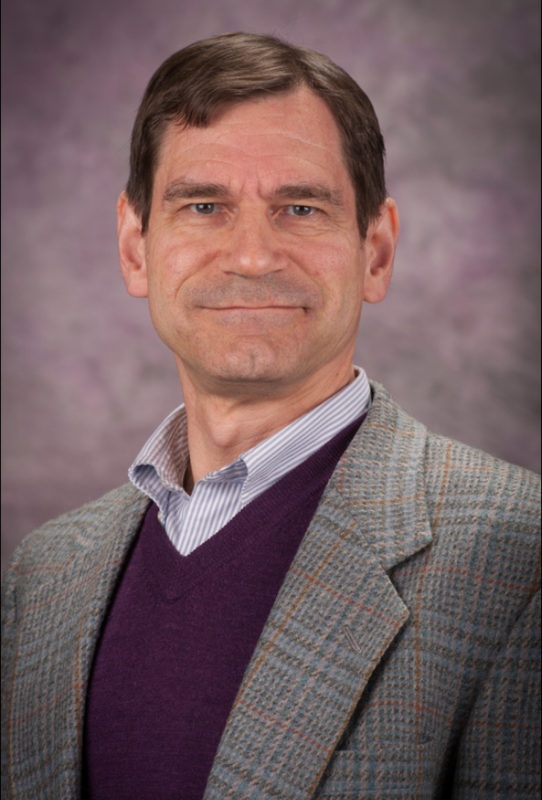 David Graff, professor of History at K-State, has been named the university’s Richard A. and Greta Bauer Pickett Chair for Exceptional Faculty. A prominent military historian specializing in medieval China, Graff “has been a prolific scholar whose expertise has earned him a stellar international reputation,” said Michael Krysko, associate professor and chair of the History Department. 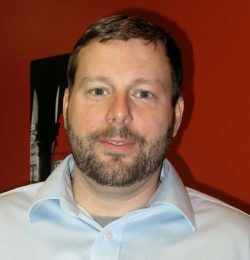 Graff serves as the Interim Director of the Institute for Military History and the Associate Director of the Security Studies program, an interdisciplinary partnership with the Department of Political Science aimed at students interested in national security, international affairs, world politics, and transnational problems. He also teaches undergraduate coursework in both pre-modern and modern Asian history, and developed the History Department’s East Asian Studies minor. Graff received the College of Arts and Sciences’ William L. Stamey Teaching Award in 2015. The Bauer Pickett Chair was previously held by military historian David Stone. Graff received his Ph.D. in East Asian Studies from Princeton University in 1995 and came to Kansas State University in 1998 after holding temporary teaching positions at Southern Methodist University and Bowdoin College and spending a year as a visiting scholar at Harvard University. His research focuses on Chinese military history, especially that of the Tang dynasty (618-907). Assistant Professor Phil Tiemeyer was awarded a five-month teaching and research Fulbright Fellowship based in Belgrade, Serbia. The teaching will be done at the University of Belgrade‘s Centre for the Study of the United States of America. Tiemeyer’s research will involve study of JAT Yugoslav Airways during the Cold War as part of his new book project: “Aerial Ambassadors: National Airlines and US Power in the Jet Age.” He’ll be diving into the Archives of Yugoslavia, as well as archives of the Serbian Ministry of Foreign Affairs and the Serbian Museum of Aviation, and collecting oral histories with former JAT flight attendants and pilots. Assistant Professor Tom Hallaq‘s documentary “Slow and Low” premiered March 1 in the Hemisphere Room of Hale Library. Using a small crew of select students, Hallaq produced and directed the film, which took nearly two years to produce. It featured Dr. David Vail (formerly of K-State Libraries), Mike Pierce of Textron Aviation, and ag pilots Robert Grace, Steve Gross and Beth Aeschliman. The premiere was sponsored by the Kansas Agricultural Aviation Association while the documentary received financial support from an Academic Excellence grant through the K-State Provost’s Office. 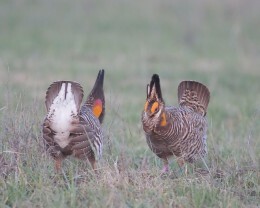 The film will air on Kansas Public Television stations KTWU (Topeka) and KPTS (Wichita) later this spring. It is also being marketed to other national cable television networks. 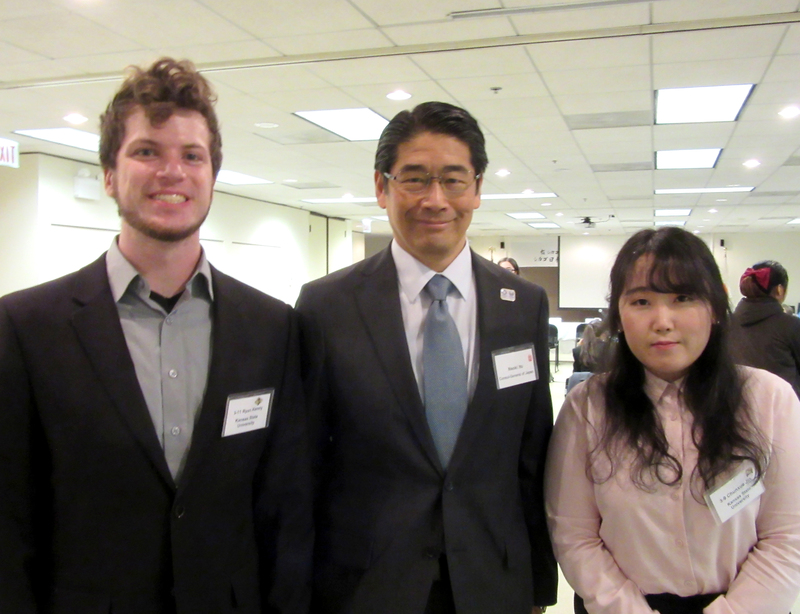 Chunxue Jin and Ryan Kenny, students in the Japanese Language Program directed by Kumiko Nakamura, were invited to present their speeches as finalists at the 31st annual Japanese Language Speech Contest held at the Consulate General of Japan in Chicago. Jin received the Bonjinsha Award in Category 3 (college and above), and Kenny received the Sister City Osaka Award (Second place in the overall competition), for which he was awarded a free round trip ticket to Japan. He plans to spend two weeks with a Japanese host family in Osaka this coming May. Professor Laurie Johnson gave a talk titled “Why Our Democracy Needs Thucydides” at Mercer University on March 28 as part of The McDonald Center for America’s Founding Principles Elliot Conference on Great Books and Ideas. The conference invited a number of noted scholars from across the nation to discuss Thucydides’ current relevance. Jeff Pickering, professor and department head, was invited to be a presenter on a panel titled “Consequences of Military Intervention since 1945: Experiences, Lessons, Questions” organized by the Berlin Center for Cold War Studies and the Volkswagen Foundation. The conference will be held in Hannover, Germany in May. Pickering and Carla Martinez Machain, associate professor, were invited to the University of North Carolina at Chapel Hill to participate in a workshop on “Lethal Aid and Human Security: Exploring the Impact of Transnational Flows of Military Assistance to Fragile States.” Sponsored by the Carnegie Foundation and the International Studies Association, the workshop will bring together academics and practitioners in late June. 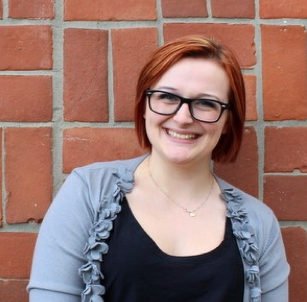 Jordann Brandner, a graduate student in the Psychological Sciences department received a research fellowship award from the National Science Foundation (NSF) Graduate Research Fellowship Program (GRFP). The award supports graduate students in science, technology, engineering, and mathematics (STEM) or STEM education. 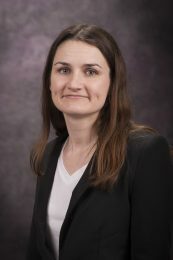 Brandner was named one of the 2,000 recipients from over 13,000 applications for her research project studying the tendency of heterosexual men to perceive a woman’s friendliness as sexual interest. Brandner aims to determine if this behavior is more of a bias to perceive a woman as flirting or if this is more of an issue of decreased ability to read and recognize the cues a woman is sending. Don Kurtz, associate professor of social work co-published “The Gender in Stories: How War Stories and Police Narratives Shape Masculine Police Culture” in the journal Women and Criminal Justice with Lindsey Upton, assistant professor of sociology at Tennessee Tech. The paper examines storytelling and narrative development in police culture related to gendered aspects of policing. Officer statements indicate that women are frequently viewed through a gendered lens and that police storytelling appears an important context for understanding police culture. The types of stories explored in this paper: flow of action, war stories, and gender narratives, provide a context for understanding the (re)production of masculinity in policing. The authors have an additional paper with revise and resubmit status at another criminology journal that also explores police narratives and the unique context of stories within police culture. Harald E.L. Prins, university distinguished professor of anthropology, published a chapter in the 2017 Metropolitan Museum of Art volume Irving Penn: Centennial. Titled “Ethnographic Portraits, 1967-71,” his chapter concerns this world-famous 20th-century artist’s iconic photographs of indigenous peoples in Benin, Sahara and Papua New Guinea. 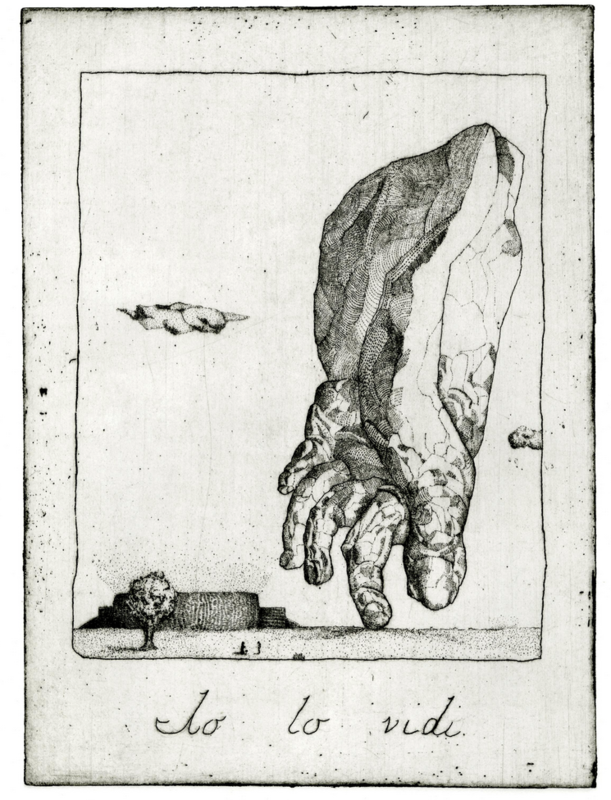 The book is published in conjunction with the exhibit’s opening at the MET. Prins also published a review essay on “The North American Journals of Prince Maximilian of Wied” (1830s Upper Missouri) in the journal Ethnohistory. Archaeology faculty and students with the Department of Sociology, Anthropology, and Social Work represented K-State at the 39th Annual Flint Hills Archaeological Conference in Arkansas City March 23-25. Professor Lauren W. Ritterbush and coauthors Jakob Hanschu (undergraduate in Anthropology and Geography) and Brad Logan (Research Associate Professor) presented “Archaeological Evaluation of a Prehistoric Mound in Riley County, Kansas”. This research is based on initial data recovery completed as part of the 2016 Kansas Archaeological Field School. This program provides students with hands-on training as part of a regional archaeological research project. Ethan Bernick, Sabri Ciftci, and Chardie Baird won the Jewell Limar Prestage Best Paper Award for “How Cultural Beliefs About Women’s Role in the World Shape Women’s Civic Engagement.” This award was established in 1999 and is presented at the Southwestern Political Science Association Annual Meeting for the best paper on the intersection of gender, race, ethnicity, and political behavior with a monetary prize. Yolanda Broyles-González, department head of American Ethnic Studies, has published the first academic treatment of singer Jenni Rivera as part of a cultural studies anthology titled “De Aztlan al Rio de la Plata,” edited by Sergio M. Martinez. 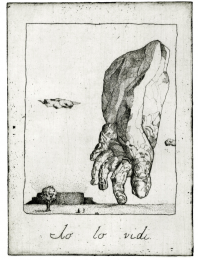 The anthology’s title marks its transnational focus: “Aztlan” is a Nahuatl Aztec designation for North America, while “Rio de la Plata” designates South America. Mexican American singer Jenni Rivera enjoyed a singular hemispheric popularity across national borders. When Rivera died in a plane crash on Dec. 9, 2012, Mexican-Americans lost their greatest living song idol, while the world in general lost one of the most eloquent and engaged advocates for women of color. In her article, Broyles-González traces the emergence of Rivera from a Long Beach, California barrio to a stardom, which gave voice to the most disenfranchised sectors of society. Her voice performed a powerful history from the fringe, which modeled empowerment for women, most especially immigrant Mexican women. Click here to read more. 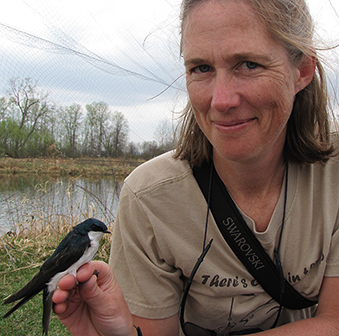 Rollie J. Clem, professor of biology, has been awarded the Joan S. Hunt Distinguished Mentoring Award by the Kansas IDeA Network of Biomedical Research Excellence Program, or K-INBRE. Candidates for the award must be faculty members at one of 10 participating Kansas and Oklahoma universities with demonstrated success in their field and must have mentored a substantial number of junior faculty, postdoctoral fellows, or graduate or undergraduate students. The award was established in 2012 to recognize someone with demonstrated commitment to fostering the intellectual, creative, scholarly and professional growth of mentees. The award’s namesake, Joan S. Hunt, is professor emeritus of anatomy and cell biology at the University of Kansas Medical Center and the original principal investigator of K-INBRE. Read the full story here. Two Communication Studies students were awarded Arts and Sciences Research Travel Scholarships to attend the Central States Communication Association (CSCA) Conference. Brett Sitts, an undergraduate, and Lindsey Milburn, a graduate student, will both travel to Minneapolis later this spring for the conference. 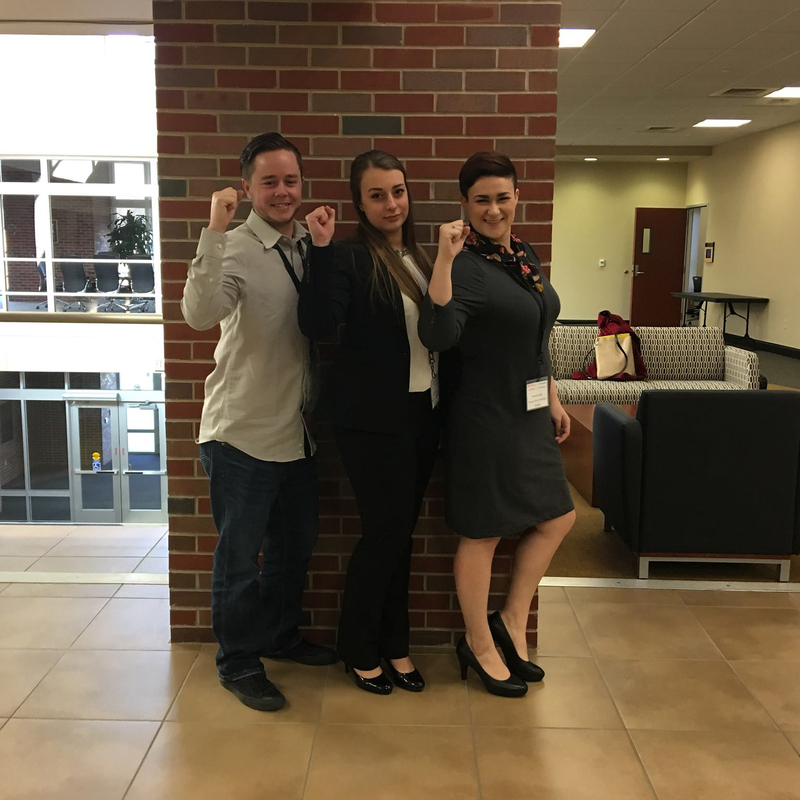 Sitts and Paige Wiley, another undergraduate student, both had papers accepted to the CSCA Undergraduate Honors Research Conference (UHRC) and will present their papers as part of a competitive panel. Dan Kuester gave a presentation on creating personal connections in the classroom as part of the GTA Professional Development Series sponsored by the Faculty Exchange for Teaching Excellence (FETE). This series features faculty lectures for graduate students who are interested in receiving certification in teaching techniques. Amanda Gaulke presented “Stopping Out of College: The Role of Credit Constraints” at the Western Economic Association International Conference in Santiago, Chile as part of a Contemporary Economic Policy: Public Policy and Inequality Series Session arranged by Indiana University. Assistant Professor Francesco Orsi published a correspondence piece titled “Environment: Progressive Taxes for Sustainability” in the international journal Nature. The correspondence suggests levying progressive taxes on goods that are particularly detrimental to the environment as a method of achieving a more sustainable society. Orsi is a recognized authority on the use and preservation of green space and sustainable transportation. Mattheow Totten and Abdelmoneam Raef and their student Keithan Martin published an article in the Journal of Petroleum Science and Engineering on studying the petroleum system of the subsurface Hugoton embayment basin of western Kansas. The study focuses on improving the understanding of the orientation, geometry, and spatial distribution of ooid shoal complexes in Kearny County, Kansas. Integration of multiple datasets and advanced Artificial Neural Networks analysis resulted in the development of a well-calibrated predictive tool for classifying specific rock characteristics (lithological facies) based on geophysical well-logs. Safiya Woodard, senior in mass communications at K-State, won the grand prize in the 2016 Biotech University reporting contest, a $2,500 academic scholarship. Woodard’s winning entry was a video documentary, “The Evolution of Biotechnology in Agriculture.” Click here to read more. 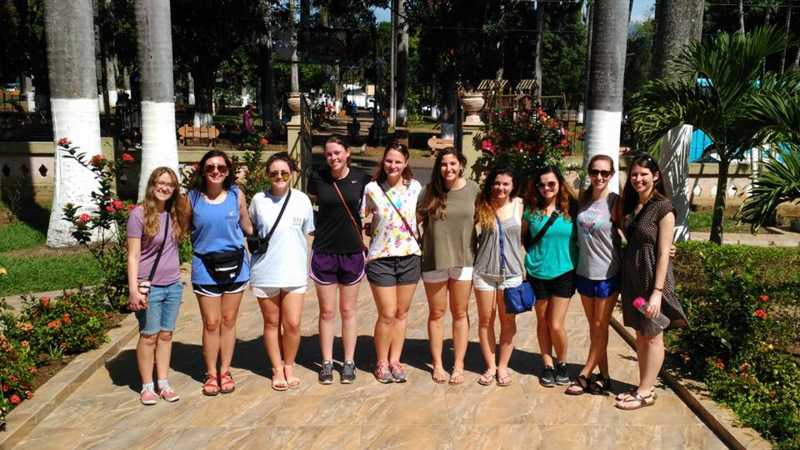 Laura Kanost, associate professor of Spanish, led a group of eight Spanish students on a two-week study abroad program in Costa Rica blending cultural and linguistic immersion, leadership, and multidisciplinary research. The students, who represent four different colleges at K-State, lived with host families in a rural community, engaged in a service-learning project, and participated in a variety of excursions and mini-classes. Pictured, from left to right: Natalie Wolf, sophomore, Arts and Sciences Open Option; Jacklyn Dawson, freshman, Business Administration; Katlyn Krause, junior, Geography; Anne Recker, senior, Animal Sciences and Industry; Christine Laflin, sophomore, Architectural Engineering; Shea Roy, senior, Kinesiology; Cassidy Frost, senior, Biochemistry; Kaylee Aherns, freshman, Arts and Sciences Open Option; Amy Hein, senior, Spanish and Marketing; Laura Kanost, associate professor of Spanish. The National Endowment for the Arts has given K-State a $20,000 Art Works grant to support “Transforming Printmaking through Chemical Innovation,” a collaborative project to transfer safer, sustainable technology from the electronics and biotech industries into fine art printmaking. Jason Scuilla, associate professor of art, will collaborate with Stefan Bossmann, professor of chemistry, to lead a team of artists, scientists and students to research, develop and refine electrochemical etching processes and green biosolvents, empowering artists to create prints in a safer and more effective manner. Read the full story here. Zhilong Yang, assistant professor of biology, published an article titled “Ribosome Profiling Reveals Translational Upregulation of Cellular Oxidative Phosphorylation mRNAs During Vaccinia Virus-induced Host Shutoff” in the Journal of Virology. Read the article abstract and scientific importance here. 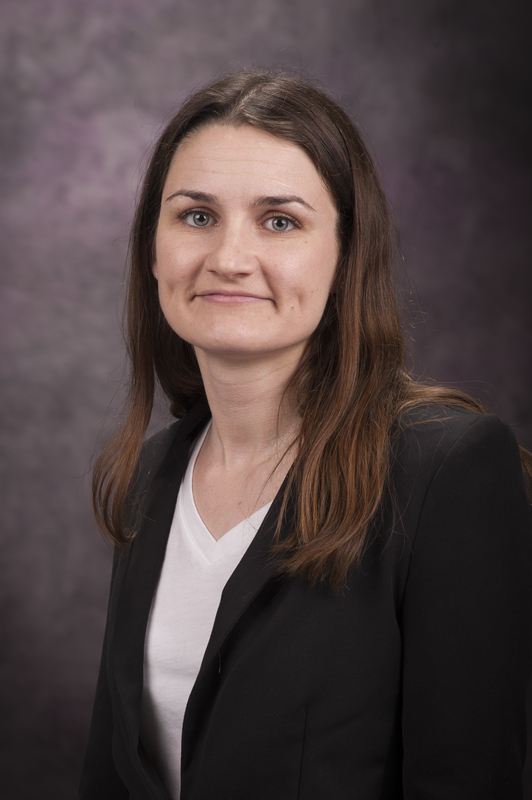 A Kansas State University chemist has earned a National Science Foundation CAREER award of more than $700,000 to develop a more efficient and safer way of etching semiconductor nanocrystals. Her work could lead to more energy-efficient lighting and greener technology. The Faculty Early Career Development, or CAREER, Program is the NSF’s most prestigious awards program in support of junior faculty who exemplify the role of teacher-scholars through outstanding research, excellent education and the integration of education and research within the context of the mission of their organizations. Emily McLaurin, assistant professor of chemistry, will use the award for her project “Microwave-Assisted Ionic Liquid Etching of Colloidal III-V Semiconductor Nanocrystals.” Read more about McLaurin’s work here. Amanda Gaulke, assistant professor of economics, was awarded a $4,498 University Small Research Grant for her project “The Effect of Post-Baccalaureate Certificates on Job Search: Results from a Correspondence Study.” University Small Research Grants are seed grants to support small research projects, scholarly activity, and other creative efforts, awarded each fall and spring by the Office of the Vice President for Research through the Office of Research and Sponsored Programs. For the paper “Cooperation in WTO’s Tariff Waters?”, Peri da Silva, associate professor of economics at Kansas State University, and co-authors from the United Nations Conference on Trade and Development and the University of Geneva examined the relationship between tariffs, which are the taxes countries charge each other on classes of imports or exports, and market power — a measure of countries’ abilities to influence the price of goods on the world stage. Large developed nations like the U.S. have much more market power than smaller or developing nations. The paper will be published in the prestigious Journal of Political Economy. Read more about this research here. 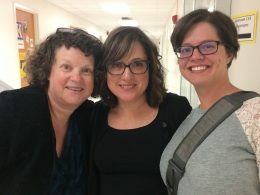 Three faculty in English received teaching awards from the College of Arts and Sciences: Traci Brimhall received an inaugural Ron Gaches Undergraduate Teaching Award, Tanya Gonzalez received the 2016 William L. Stamey Award for Undergraduate Advising, and Anne Phillips received the inaugural Ron Gaches Lifetime Undergraduate Teaching Award. Philip Nel received the Balfour Jeffrey Award in Humanities and Social Sciences, one of the Higuchi-KU Endowment Research Achievement Awards. 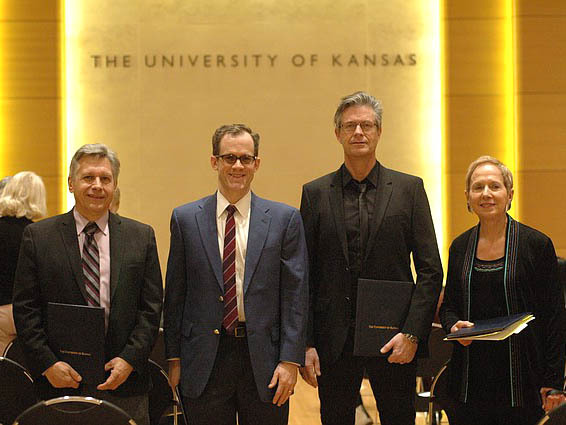 The awards recognize the exceptional long-term research accomplishments of faculty at Kansas Board of Regents universities. Read more about the awards here. Dan Hoyt won the inaugural Dzanc Books Prize for Fiction for his novel “This Book Is Not For You.” Read more about the book and award here.